As much as we wish they were, not every job you’ll get will be a home run. You know the kind, where the homeowners sign the contract right away, the insurance company approves your estimate, and the work goes off without a hitch. For every ten jobs, you might get one that goes that nicely, and the rest, well, they require a little more legwork. One of the most difficult parts of selling for contractors is getting the contract signed. Some homeowners like to take their time making a decision, or are unsure of what work they need done, or they just think they know more than you do. These are the homeowners that are typically deemed as cold leads; they didn’t slam the door, they let you explain what you do, and they may have even had you do an inspection, but then they want to wait to sign a contract. It can be frustrating dealing with these types of homeowners because you want the work and you want to get started. 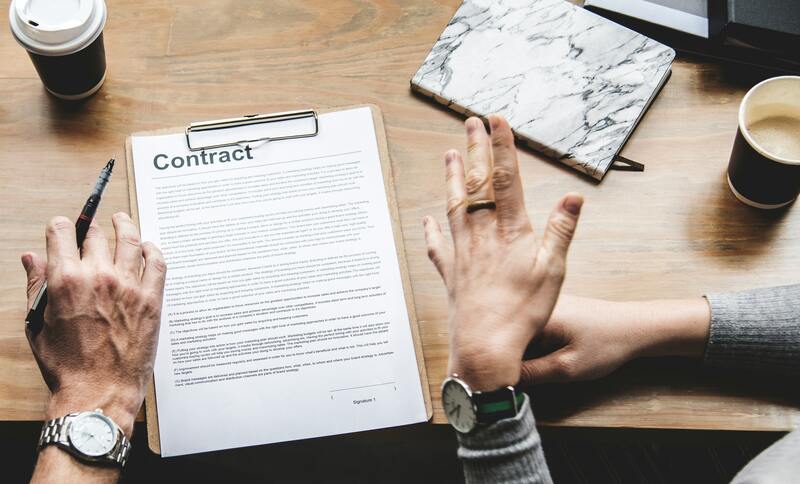 You might even think it would be easier to move on to the next house who is ready to sign the contract and forget about the hesitant people all together. But, taking the time to warm-up these cold leads can pay off big time if you do it right. In this post, we will go into detail about some of the best practices to warm-up cold leads and get contracts signed. One of the easiest ways to scare off cold leads for good is to push too hard too fast. Having to make changes or repairs to a home is big, big deal and some people need more time to process that than others. When you push too much, it can overwhelm the homeowners and make them run to another contractor with more patience, and it can also seem a little sketchy; like you just want to get the work done and get paid. Most of the time you can tell which homeowners are going to be a little harder to convince, so have a sales plan specific to those kinds of customers. Try your normal sales process at half speed if they seem skittish; do your inspection and give them all the information, but don’t bring up a contract or moving forward until the next time you speak. Give them time to process all the information one bit at a time, and let them become comfortable with you before the ball really starts to roll. Another great way to warm-up cold leads is to stay in touch with homeowners while they are in the process of picking a contractor. Even if you are moving slower, as mentioned above, communicate with them; call and see if they have questions after looking over your damage assessment, ask if they have any questions about the insurance process, or if they need help navigating HOA requirements. Try and speak with them at least once per week while they are in the decision-making process. Not only will it keep you in their minds as an option to do the work, it will also help you build rapport and display your full expertise, which will hopefully bolster their confidence in you. Typically, the people who take the longest to process and decide have specific concerns that are holding them back, and these concerns are typically easy to find. All you have to do is ask. Ask them if they have any specific questions or if there is anything they are worried about and, usually, that answer will let you know what they are worried about so you can address it. Finding out why they are hesitant to move forward gives you the opportunity to display your knowledge of the process and the repairs, and make the homeowner more comfortable with you; similar to staying in touch, it allows you to build rapport with them before other contractors can. Addressing their concerns, and pointing out how you can help negate them, can be a big step in getting a contract signed. 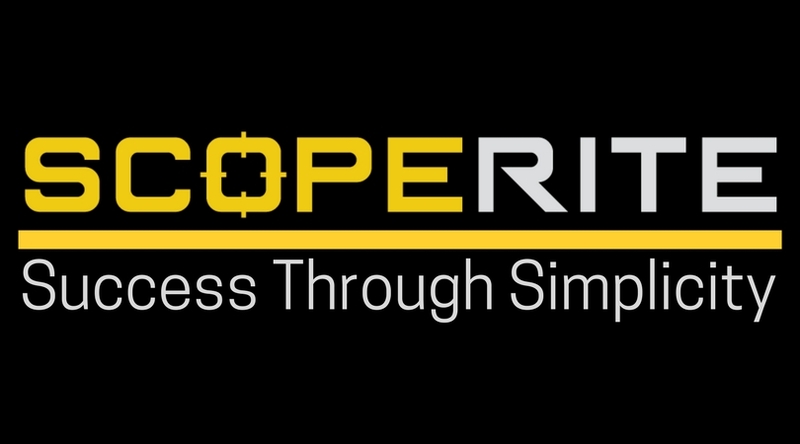 At Scoperite, we don’t believe that you need a software with a bunch of features to make your business better. We believe that you need a software that can bend to your needs and that can make your company more effective at what they do. So many of the software options on the market for contractors and public adjusters right now do their best to showcase the wide variety of things that it can do, from tracking everyone’s calendars to creating graphs showing how many leads you’ve closed, but not every company needs all those features. That is where Scoperite aims to be different. We stand by our motto “Success Through Simplicity” because we don’t have a thousand different features in our system; we don’t think you need them. Instead we have a few different features, that we found to be the most useful for contractors and public adjusters, that are customizable to you and your business. We believe it is more important for the features to function the way you need them to, rather than having (and paying for) a bunch of features for the sake of having a lot of them. Each company operates differently, with different systems in place so being able to customize the software you use to those systems makes the most sense. 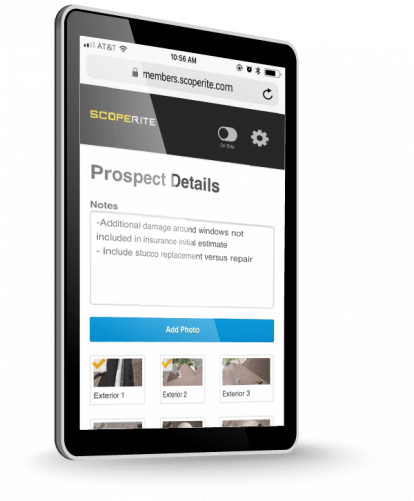 For example, Scoperite allows users to create documents like invoices and estimates from a template. That template is created by the owner of the company so that it fits your company’s methods for those documents. The same can be said for the custom email templates that can be created as well; users can create templates of emails they send frequently to save time, effort, and confusion and the templates are available from each claim page. We could go on, but we won’t. Our point is, there is nothing wrong with simple when it gets the job done. If you want to learn more about our features and their customization, head over to our main page and sign-up for a demo today! Contractors and public adjusters do a lot of work on their own. Whether it is scoping houses, supervising projects, or cranking out paperwork, it isn’t uncommon that they do all of it with little to no guidance or input from others. Autonomy is what helps many of these businesses run successfully; when the employees know what needs to be done, and get it done without needing to be told, it makes the whole company more productive and profitable. However, just because someone can do something without input from others, doesn’t always mean they should. Communication is essential in the workplace, even when it isn’t necessarily needed. In autonomous roles, such as public adjusting or project management, communication can improve both individual and company performance in a lot of ways. 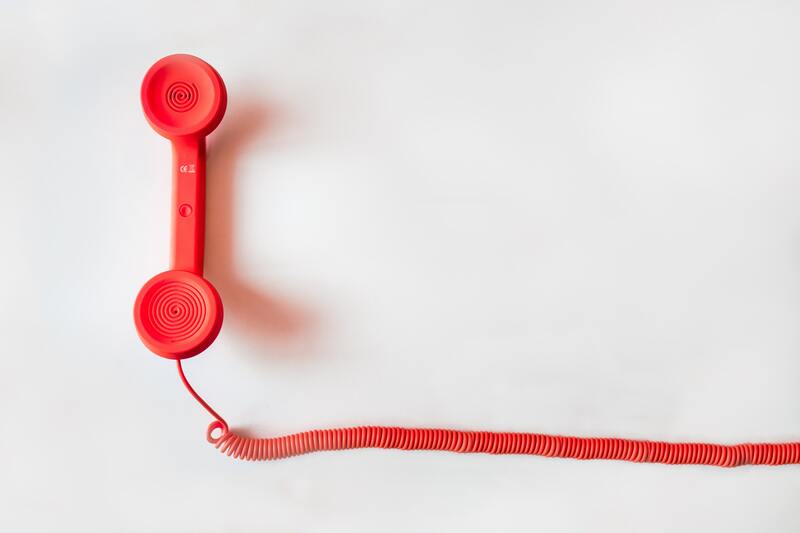 Below we talk about some of the most important reasons to keep the lines of communication open at your company. While it seems like an obvious point, communication keeps everyone connected. That may seem like a “well-duh” kind of statement, but in autonomous roles, people tend to only communicate with the other people that they need to get their projects done instead of communicating with everyone. When people take the time to communicate with all their coworkers, it fosters the culture of the company, which can sometimes get lost when there are lots of singular roles in a business. Even just asking about someone’s day in passing in the parking lot counts as communication that can help build a culture. When employees like the culture they work in and feel comfortable with their coworkers, they are more likely to stay at that job and enjoy doing their work. From scheduling crews, to ordering materials, to keeping property owners properly informed there is a mass amount of information and tasks that keep every project moving forward. For the most part, each person is focused on their projects and the tasks that they need to accomplish, which works, it’s how the work gets done. But when everyone is focusing only on their projects, things can get lost. If project managers aren’t communicating crews might get doubled booked, materials might get dropped and there’s no one there to unload it. If salesmen aren’t communicating they may knock too many of the same doors, call the same property managers, and make no progress. But if everyone communicates on at least a base level, it can eliminate a lot of that confusion. Talking with other project managers and planning schedules together can make sure there are always crews available. Coordinating with the other salesmen on the best way to attack a neighborhood can mean you’ll get more jobs, and not bother people by knocking on their door twice. Keeping yourself up-to-date with what is happening with other projects and other employees can solve problems before they start, and keep the company running flawlessly. Similar to communicating to avoid confusion, communicating with other coworkers can help improve company customer service as whole. If a project manager is on vacation, and the insurance company calls, someone else can help them if they have been talking with their coworkers and keeping tabs on their projects. If more people know what is happening with certain projects, anyone can help when problems arise. The more people that can help with problems, the better your customer service will be, which is likely to lead to referrals and good reviews from happy clients. Autonomy is awesome because it means making your own schedule and having more control over how you do your work. But it can also be easy to get behind, put things off, and let things slip through the cracks when you are the only one responsible for you. Communicating with coworkers and managers frequently fuels accountability; if you know someone is going to be checking-up, you want to have everything done. Whether it is asking about scheduling, following-up on a question, or passing on paperwork, if someone else is going to be asking you about your projects, you want to be prepared to answer them. Communicating doesn’t mean tracking schedules and taking away autonomy, but is a way to make sure that the people working alone are still doing all the work that they need to do. 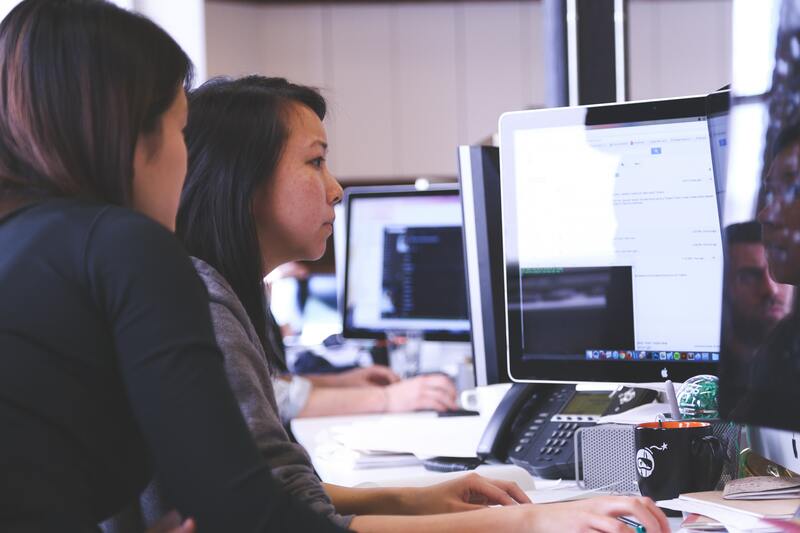 Having a good system for training new employees is essential to keeping them at a company. Training new hires helps them embrace the culture, methods, and goals of the company so that they can be highly effective in their new role. A lot of companies, especially in the construction sector, train quickly; with the goal being for the new employee to be on their own as soon as possible, but taking the time to slow down and train them properly will be more effective for both you and the new employee in the end. Below we will dive into a few tried and true best practices for training new hires that, if used, will help your company and your new employees thrive. One of the biggest ways to make your training effective is to have a system; take the time to sit down with relevant parties to new hires and let everyone give their input on what needs to be taught for each department. This information can then be compiled and organized into a system for training new hires that will allow them to gain the most training and knowledge necessary to do their job well. Having a system means that each and every new employee gets all the information that they need without it being extra work for current employees; the system sets everyone up for success by ensuring all relevant information is given to new hires as soon as they start. Using a set system also makes it easier for you to identify gaps in training, and allows you see where changes can be made to make new and current employees more effective at their jobs. Some people are good teachers, and some people just aren’t. Even people who are really good at their jobs aren’t always awesome at explaining it to others. 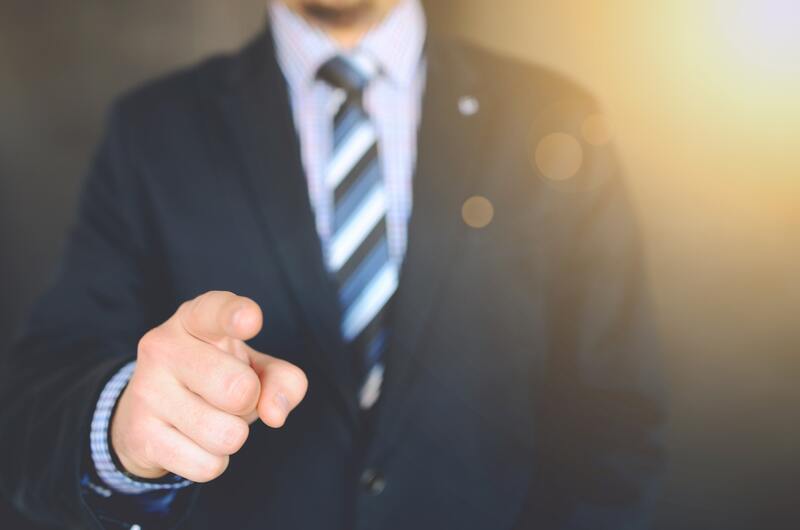 When you are deciding who will be training new hires, you want to pick the people who are good teachers and who don’t mind taking the time to show someone how everything works. You want to use the people who can thoroughly explain and outline how task works, but also someone who makes the trainee feel welcome and understands that there will be a learning curve. Questions are essential in the learning process, so having people who can and are willing to answer questions is important because it will help the new hire learn faster and ensure that they are fully understanding all the tasks required of them in their new position. When it comes to construction, one of the best ways to increase profits is to upsell customers. Whether it is for better products, better warranties, or just more peace of mind for them, it is good for you when your employees can get customers to make improvements and upgrades beyond the original scope of work. Upselling, however, isn’t always easy. Whether your salesmen are new and timid or homeowners are a tough sell, it can take a lot of convincing to get a commitment to a better product, service, warranty, etc. There are a few things that you, as a leader in your company, can do to make your team more effective in their upselling efforts. Some guys are just good at selling, and upselling, they can get contracts signed and warranty upgrades agreed to without hardly any work at all on their end, but some guys just aren’t; they struggle to create a good relationship with the homeowner and to get contracts signed, much less get product upgrades in the mix. Taking the time to train all your guys on good tactics for upselling can hugely benefit your company. Helping them to have rebuttals for denials, tools to explain the value added, and tactics to open the upgrading conversation will make them more effective at upselling, but also at selling in general. Have them practice on each other, role play the scenario so that they can get used to fending off excuses and working the benefits into the conversation; the more they practice on each other, the easier it will come when they try with real homeowners. It also gives the salesmen an opportunity to help one another out. That great salesman can show your new guys how he goes about selling, convincing, and getting the deal done. The new or timid salesmen can ask questions, and clarify things they are unsure of. Getting all of your guys together in one room gives them the opportunity to teach each other and collaborate amongst themselves the best ways to upsell homeowners. Part of being able to upsell is to know what it is you are persuading the homeowner to add to their project. Whether it is a product like an impact resistant shingle or anti-wear paint, or a better warranty for using only one company’s products, your guys need to know everything about it so that they can ensure the homeowner that it is the right thing for them do to. This is where having good, strong relationships with manufacturer reps is essential. The manufacturer representatives are a wealth of knowledge, and it is their job to get your company to use more of their products. Many reps will be more than happy to sit down with you and your salesmen to go in depth into how certain products work, how they are better than others, and even ways to sell them to the homeowners. Similar to the training, working with the reps gives your guys the opportunity to ask questions, see demos, and become experts on the products and services they sell. Being able to understand exactly what they are selling and how it will be a benefit to the homeowner will make you salesmen exponentially better at gaining the homeowner’s trust, and convincing them to upgrade their project. For contractors who specialize in any sort of storm damage, it is a good day when a storm hits your area. It’s time for you and your team to go out and do what you do best, repair people’s properties. Less than ideal when a storm hits however, are the storm chasers that come racing into town; ready to take your business and do repairs far below the standard of what you and your team can offer. Thankfully there are a few different ways to combat the storm chasers and get the jobs your company needs. Getting your name, services, and reputation out to potential customers is one of the best ways to ensure that your company gets jobs, and one of the best ways to do that is by using direct marketing methods. Direct marketing methods are things like sending mailers to houses and knocking on doors; things that allow you to directly show potential clients what you and your company can do. Mailers can be sent directly to affected areas and are designed to showcase your company. It gets your logo out so people recognize it, and it allows you to inform them about your services, your goals, and, most importantly, your local proximity to them. Because people today are so well-informed, most know that it is better to pick a local contractor than someone who swoops in and out, and mailers are a great way to let them know that you and your company are local. Knocking doors, tedious as it can be, is another great way to directly market to potential customers. It gives you the opportunity to explain what your company does well, how it can help them, and potentially even get a look at the damage right then and there, and gives the property owner the chance to ask questions and raise any concerns. Knocking doors also gets your logo our in the community again, be in on your shirts, your hats, or your trucks, people will see it and it may encourage them to take the time to look into your business for their own repair. Referrals and references are an excellent way to get work in general, but are even more effective when it comes to getting work that storm chasers try and take. Many people want a contractor that they can trust, and tend to turn to other people to find it; people are likely to trust the opinions of the friends, family, and trusted associates within the industry. If you can, find previous clients that will consent to be a part of a reference list for your company. This list can be used as a tool to help get potential customers to sign a contract with your company. Give the list to property owner’s who’s doors you may knock and who’s properties you may inspect; hearing that it was good to work with your company from other people may give potential customers the push they need to sign up with your company. Creating relationships with realtors, insurance agents/brokers, and other contractors can also be a great way to keep business flowing to you. When a storm hits, people may call their insurance company first, or if the property is being bought or sold they may call their realtor. Having relationships with those insurance agents and realtors means that they can refer those clients to your company, making it easier for you to get your foot in the door to help them. Similar to references and referrals, having good reviews is a good way to get business in general, but also to combat storm chasers. People get a lot of information from the internet, so whether they are searching Google, Yelp, Angie’s List, or Facebook, it is important to have good reviews of your company on all sites that people use to find you. 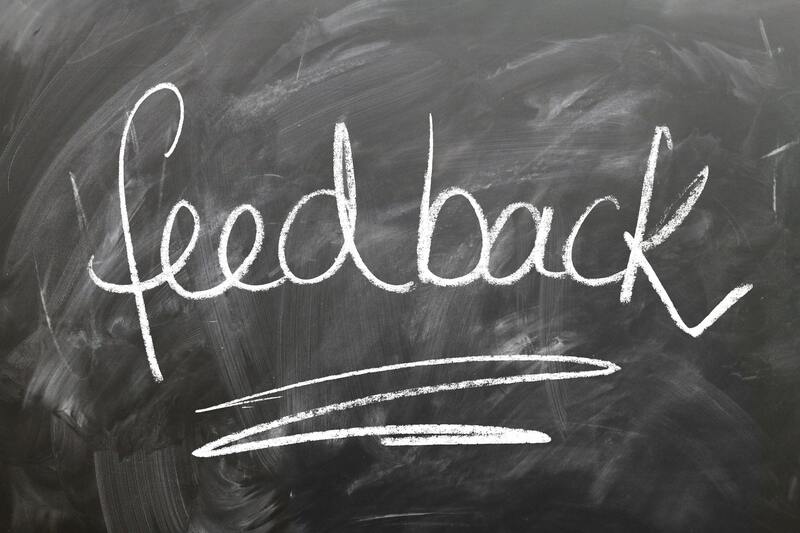 Good reviews make it more likely that people will call you, even if they still aren’t sure about hiring you; which gives you the opportunity to explain to them how you can help, and why they should choose you.